YAKUTSK, January 17. /TASS/. 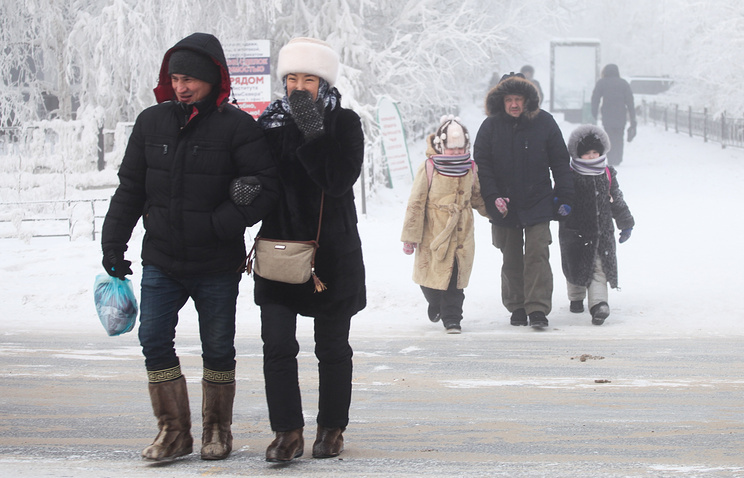 Life has been going on as usual in the Oymyakon District in northern Yakutia, Russia, where temperatures have recently exceeded minus 60 degrees Celsius (-76 degrees Fahrenheit). Moreover, the region, considered to be the Northern Hemisphere’s Pole of Cold, has been welcoming foreign tourists. "January has been particularly cold this year, temperatures of minus 65 were recorded on Sunday," said Tamara Vasilyeva, a local historian and a guest house owner. "Tourists from all over the world come here to experience freezing cold. This year, we have welcomed tourists from India, China, Vietnam, Switzerland and Australia," she added. According to Vasilyeva, tourists are first and foremost interested in extremely low temperatures and the local way of life. "We take them on ice fishing trips, to folk concerts, and show them horses bred in extremely cold climate," she said, adding that she was currently receiving a shooting team from Japan who were working on a documentary about the Pole of Cold. "Today they went to bathe in the Indigirka River, while the temperature was minus 58 degrees. Some parts of the river do not ever freeze because there are some hot springs," the guest house owner said. Temperatures in the Ust-Nera town dropped to minus 62 degrees Celsius (-79.6 degrees Fahrenheit) this week, chair of the Oymyakon district deputy council Tatyana Alfyorova said. "Everything is going on as usual: people go to work, only dress warmer. Utility and emergency services have been put on alert," she added. According to her, schools have been closed recently. "However, children continue to attend a sports school. They play tennis and football, so life never stops," Alfyorova said. The Tomtor area in Yakutia’s Oymyakon district is believed to be the Northern Hemisphere’s Pole of Cold. Temperatures of minus 67.7 degrees Celsius (-89.9 degrees Fahrenheit) were recorded there in February 1933. 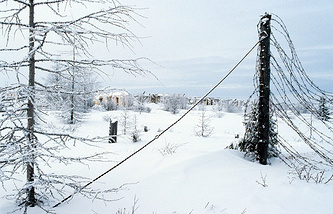 The Oymyakon valley is one of the coldest permanently inhabited places on earth.